News of the arrest of the so-called “Claremont serial killer” is making headlines Down Under. But have police, with their secular forensic science and DNA technology, caught the right man? Let’s put on our True Christian™ detective caps and do some Biblical sleuthing. Between January 1996 and March 1997, three women – Sarah Spiers, 18, Jane Rimmer, 23, and Ciara Glennon, 27 – were abducted from the seedy streets of Claremont after a night of clubbing. The resulting police investigation into their deaths is the largest and most expensive enquiry ever conducted in Australia. As Spiers was never found, we need not concern ourselves with treating her disappearance as a murder. 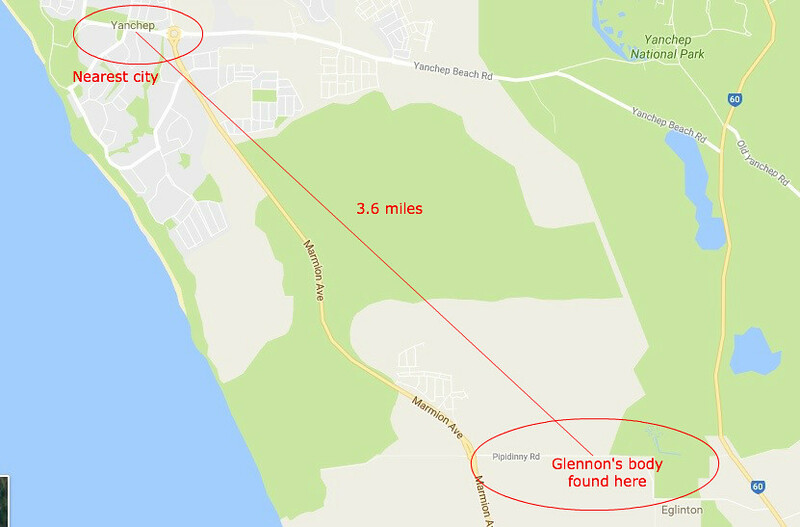 However, Rimmer and Glennon’s bodies were later found in bushland. 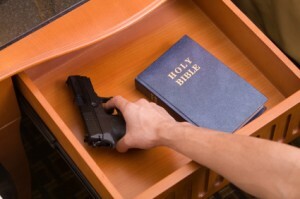 To solve these crimes, we must turn to Deuteronomy 21. 3 And it shall be, that the city which is next unto the slain man . . . So according to God’s Word, what should we do when a body is found? Seal off the area to prevent contamination? No. Determine cause and time of death? No. Determine whether there may be a connection with other deaths or disappearances? No. 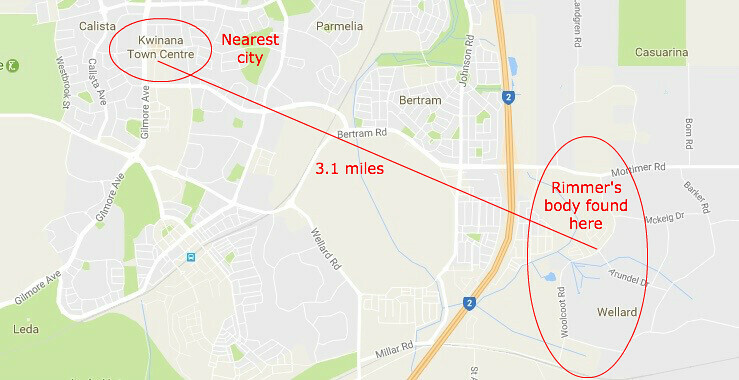 As we can see, Kwinana is the city nearest to where Rimmer’s body was found. Let’s do the same for the second victim. 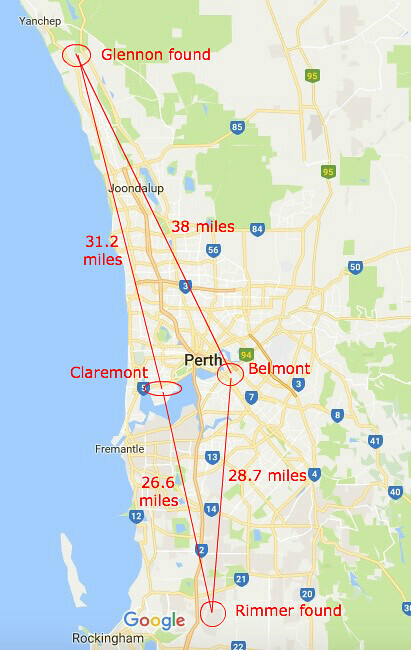 Here we see that Yanchep is the closest city. But is this what investigators did? No. The Macro Task-Force that was set up initially focussed its investigation on the city where the young women were last seen rather than on the cities nearest to where the bodies were found. Among the early suspects were the then Mayor of Claremont and a Claremont public servant. The most recent suspect, Bradley Robert Edwards, 48, who was arrested on Thursday 22nd December and charged with the murders of Jane Rimmer and Ciara Glennon, is a resident of the City of Belmont. If we look at a map, we can put all this into perspective. So what should happen now that we have established which cities were closest to where the bodies were found? To find that out, we need to return to Deuteronomy 21. 8 Be merciful, O Lord, unto thy people Israel, whom thou hast redeemed, and lay not innocent blood unto thy people of Israel’s charge. And the blood shall be forgiven them. While the Old Testament sacrificial system no longer applies, we can still apply the general principles of this passage. Investigators ought to seek the mediation of a pastor, elder, deacon or other wise True Christian™ man (v 5) – not easy to find in that part of the world. The councillors of the cities of Kwinana and Yanchep then ought to be made to swear that they had no part in the murders and no knowledge of who committed them (v 7-8a). Case closed. God would be satisfied with that (v 8b-9). But since that’s not what happened, guilt for the murders still lies with the cities of Kwinana and Yanchep, not with the man who has just been arrested – unless witnesses against him can be found (Deut 17:6). When Can I Expect my Reward? I believe there is a $250,000 reward for any information that would help solve this case. Does anyone know how I can make a claim?